TORONTO, September 14, 2017 – Ever wanted to take a closer peek at the Great Red Spot on Jupiter, Saturn’s magnificent rings or brilliant newborn stars in the Orion Nebula? A donation today of $500,000 from the Carswell Family Foundation, matched by York University and its Faculty of Science, for $1 million toward a new, one-metre custom telescope, will bring such celestial sights within reach of students and members of the public. When installed, the new telescope is expected to be the largest situated on a university campus in Canada. The telescope’s larger aperture, along with a new CCD instrument and automated operations, will enhance the hands-on learning experience and undergraduate research opportunities for York U students, and better reveal wonders of the night sky to the public, onsite and online. Faint nebulae and distant galaxies, as well as details of the polar caps on Mars, for example, will be easier to see. The observatory at York U has been a prominent hub for science outreach to the broader community since 1969. About 5,000 visitors a year come for public viewing on Wednesday nights, while there are online viewing opportunities for scores more on Monday nights when York students and faculty host the popular “YorkUniverse” radio show on astronomy.fm online. That’s when members of the public from around the world can request the telescope be pointed to their favorite celestial target. In recent years, the observatory has also become a popular venue for marriage proposals. 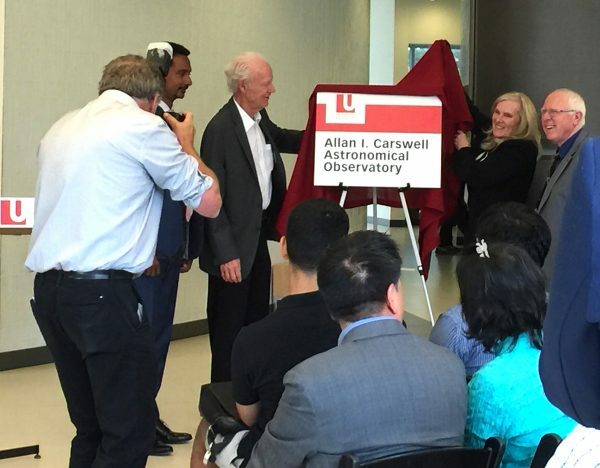 In honour of Allan Carswell’s gift, his long-time contributions to science and long-standing philanthropy to the University and community, York U also announced that the observatory has been renamed the Allan I. Carswell Astronomical Observatory (or Carswell Observatory, for short). Carswell is a York U physics professor emeritus who was instrumental in developing LIDAR systems while at the University, and is co-founder with his wife Helen of Optech Incorporated, which developed LIDAR technologies now used around the world and in space. He led a team as part of NASA’s Phoenix mission to Mars where a LIDAR device designed by Optech explored the surface and atmosphere of the red planet. As a professor at York U, Carswell worked out of the Petrie Science and Engineering Building next to the observatory that now bears his name. The Carswells have given generously to York U over the years. This latest is one more in a string of gifts that will have a great impact on the University, as well as the broader community. “We are delighted to be able to expand and enhance the capabilities of our cherished campus observatory with a powerful new telescope, and to name it in honour of Professor Emeritus Allan Carswell, a highly respected and beloved member of the York Science community,” said Faculty of Science Dean Ray Jayawardhana. “The enthusiasm of our students who operate the observatory is infectious and inspiring. 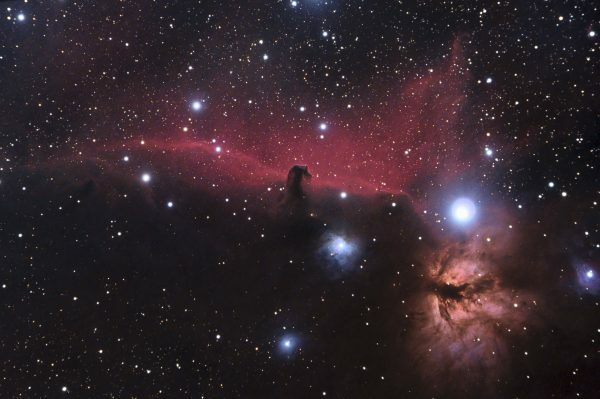 Week after week they serve as terrific ambassadors for science by sharing the wonders of the night sky with children and adults who live near here, and even with people from far reaches of the globe who connect with our observatory online." The observatory is already home to a fleet of astronomical telescopes, including 60cm and 40cm Cassegrains, and five 20cm telescopes, which were used recently for the partial solar eclipse, attracting about 2,000 community members to York’s Keele campus. This gift is a part of Impact, The Campaign for York University and supports its pillars of building stronger communities and mobilizing new ways of thinking.